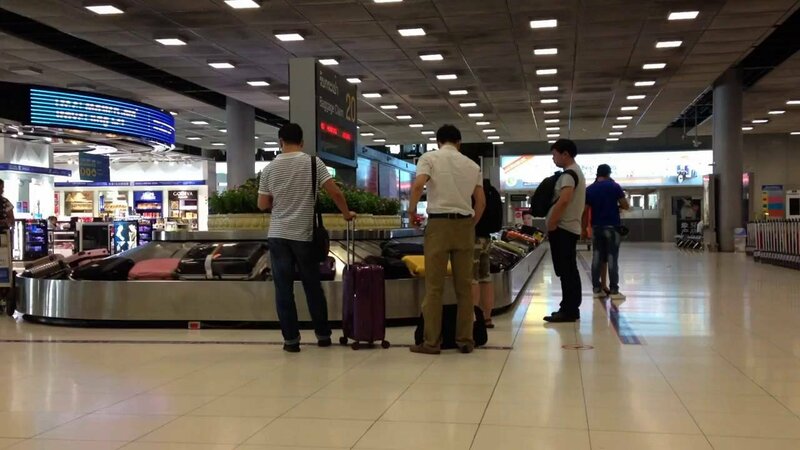 Channel 3 TV news reported that the Thai ombudsman and airport authorities were touring Thai airports yesterday promising to safeguard tourists falling victim to theft and experiencing rip-off prices for food. General Withawat Ratchatanan was investigating with AoT officials and was pictured at Suvarabhumi. Following a spate of thefts from loaded luggage at the airport it was reported that the number of CCTV cameras had been increased from 700 to 1,600. Background criminal and work history and drugs checks on staff had also been upgraded. Some three million tourists are expected to come to Thailand through the airports at New Year. The ombudsman also found that several restaurants were flouting pricing regulations. What amounts to a national dish - krapao moo or chopped pork with basil over rice - was being sold for 225 baht. Such a dish might cost about 40 baht on the street. Also a plate of plain rice was being sold for 55 baht and an egg cost 60 baht. Such items might be ten baht outside the airport. The authorities promised to ensure that operators were sticking to the rules regarding pricing.